For thousands of years Jewish and Christian people have engaged in war, enslaved and killed their fellow human beings, and slaughtered billions of animals. Then, along come Vasu Murti, an "outsider", who really wants to know why this is happening. He picks up the Bible and begins to study it, along with other writings, and comes to the conclusion that the intent of God is that "They Shall Not Hurt Or Destroy." This book is an extremely comprehensive work of the reasons why Western religions should be supporting and promoting peace, animal rights and a vegetarian (vegan) lifestyle. Vasu Murti explores how the religious communities have ignored many of their Scriptures and the teachings and voices of many of their founders, prophets, and sages who called for compassionate living, and respect for all life. They Shall Not Hurt Or Destroy is a treasure house of excerpts, quotations and comments of many of these other writers, throughout the ages, who have come to the same knowledge of the truth and the conclusion expressed in the title of the book. Vasu Murti has an excellent grasp of both Hebrew and Christian Scripture. The title of the book comes from the words of Isaiah 11:9. In They Shall Not Hurt Or Destroy, Vasu Murti explores such Biblical subjects as: why God desires mercy and not sacrifice, what it means to really prepare the way of the Lord, The Good Shepherd, what our perpetual obligation should be to both God and the world that the Lord entrusted into our care, and why we should have a tenderness toward all creatures and stop our killing. 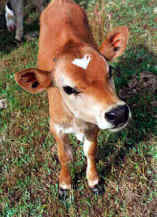 He explores the similarity between the human civil rights issue and those of animal rights, and the question of animals having souls as humans do. The reason we continue to hurt and destroy each other, our fellow creatures, the animals, and our environment is that, as a society, we are not really filled with the knowledge of the Lord to the extent we think we are. Vasu Murti has extended an extraordinary effort to help us acquire more of this knowledge. We highly recommend this book to our readers. 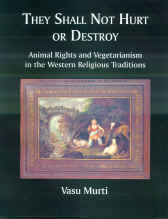 Vasu Murti is a writer and activist. 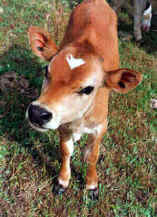 He was born and raised in Southern California in a family of South Indian Brahmins. He holds degrees in Physics and Applied Mathematics from the University of California. He has written articles on a number of topics including secularism, science and religion, animal rights, nuclear power, handgun control, Buddhism, abortion, illegal immigration, and drug legalization. He is a regular contributor to Harmony: Voices for a Just Future, a "consistent ethic" publication on the religious left.